We Indians are notoriously famous for our indulgent lifestyles when it comes to food and rightfully so! Isn't it? Well the truth is that while quintessential Indian dishes can be best served and enjoyed a little too spicy and with a little too much oil (or butter) - the new age people have very ingeniously adapted to a diet that is as Indian as it gets in its basic palate, but is also protein-rich and suitable for any diet plan. 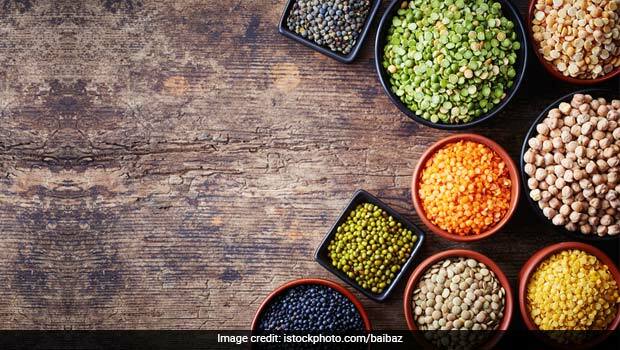 While protein-rich food in India is not a new concept, the age-old dishes have been slightly modified to suit the more health conscious generation. Talking of protein-rich foods in India, the first few names that come to mind are boiled egg whites, grilled chicken breasts, chicken tikkas, fish tikkas etc. While these Indian dishes are a no-brainer for any non-vegetarian going on a protein-high diet, we present to you some protein-rich foods in India for vegetarians that are very easy to get or make, and that will just fit any diet plan and also eventually satiate your craving for spicy Indian food. Just make the suggested small changes in the very famous recipes and eat whatever you like. The quintessential rajma masala, if made with very little or no oil, is a very good source of protein for all those who want to avoid eating eggs or chicken. It's also a great every day dish that can continue to eat with just a couple of healthy tweaks. Reduce the oil consumption n the recipe by roasting ginger and garlic and not frying them. For added taste, dry roast some capsicum with salt and black pepper and mix them later in your rajma masala gravy. One of the most healthy and popular dishes you will find in India is the very classic palak paneer. It is one of those rare protein-rich foods that is delicious and yet very healthy. The combination of palak and paneer is a treat to taste buds, plus is very low on calories, has very less fat, and is fast filling. It is also a source of dietary fibre, which helps control your appetite. Opt for a low-fat version of paneer and all you are left with is the goodness of palak with the healthiness of paneer. Make sure you squeeze a lemon on top of the dish at the end to help absorb the nutrients better. Moong and chana are both protein-rich Indian foods. Now, an interesting way of consuming these food items together is to take sprouted moong and add sprouted chana to it. Churn the mixture in a grinder to make a coarse paste. Now, add some ginger, chilies, chat masala, salt and lemon to the mixture. Make small tikkis of the mixture and wrap them with water-soaked brown bread. Stir fry these cutlets and serve this high-protein evening snack to your family. We all know that sprouted moong is one of the most nutritious, and protein-rich supplements to add to your diet. Add some cut tomatoes, onions, coriander leaves, red wine vinegar, salt, and chat masala to the sprouted moong and serve it with a sprinkling of sev. We are sure your kids will instantly fall in love with the crunchy, tangy protein-rich dish. Chana dal (split Bengal gram lentil) is a great source of protein. Which is why, perhaps, it is slightly more difficult to digest if eaten in large quantities. Chana dal masala vada is widely eaten in the southern parts of India. This very protein-rich breakfast/snack goes well with filter coffee. With loads of onions, coriander, green chilies and spices, this vada is a real tongue tickler. Grind soaked chana dal to make a coarse paste, now add onions, coriander, black pepper, salt and other spices to the mixture. Make tikkis out of the mixture and either shallow fry them or roast them to go with your evening cup of coffee or tea. 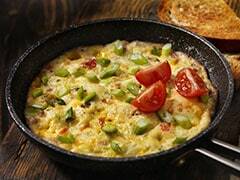 If you are tired of eating eggs or oats for breakfast and looking for protein-rich foods to add to your breakfast, then we have something for you that takes only a few minutes to prepare and is very high in its protein content. Just take one cup of buckwheat (kuttu) flour and add 1 tbsp of ground urad dal (split black gram) to it along with some chopped green chillies, asafoetida, and salt. Add some water to the mixture and make hot yummy dosas. Serve these savoury pancake-like dosas with green chilli chutney. Urad dal and buckwheat are both excellent sources of protein and thus together provide a protein-rich breakfast meal - a perfect way to kick-start your day. We bet that not a lot of you think of coconut predominantly as a great source of protein, but this south Indian food ingredient is indeed worth including in your regular diet. A 100 gram serving of coconut has almost 3.3 grams of proteins*. So, whether you like to just chew on raw coconut or you like to add a lot of it in your curries, eating coconut is definitely getting you closer to your daily required protein intake. *Source: Figures are as per USDA. While almonds and cashews can be found in other parts of the world too, but flavoured versions of these protein-packed delights are very popular in India. You could spice-up your cashew and almonds with salt, pepper, cinnamon, etc. while dry roasting them. A handful of these nuts is a great way to reduce weight as a 100 gram serving of nuts has nearly 20 grams of proteins*, meaning you get your daily requirement of protein without much effort. The very famous Indian summer cooler, made of yogurt, is a good source of protein. 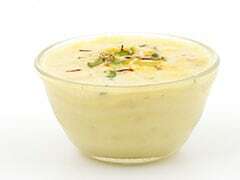 Lassi, made by adding water to yogurt in addition to either sugar or salt, is a perfect drink for the summers months. While yogurt keeps you cool in summers, it also is a very good source of protein. Ever seen one of those old Bollywood movies where the hero (police officers usually) is shown slowly chewing on roasted chanas (whole Bengal gram) all day long. While those action heroes must have had to rely on a lot more than just chanas to get their daily quota of protein, roasted chana is undoubtedly one of the cheapest and most easily available Indian snacks that is full of proteins. Have a handful of roasted chana every day if you are trying to lose weight and gain muscle, and you will see the difference very soon. Who says you have to eat non-vegetarian food to increase your protein intake? The next time you hear someone come up with a list of ways to increase protein intake by eating fish and chicken only, you know exactly what to say!